Here is the list of the hotels near Baladou. Book your hotel near Baladou today, Monday 13 May for the best price, reservation and cancellation free of charge thanks to our partner Booking.com, leader in on-line hotels reservation. Below here is the list the 50 closest hotels of Baladou, sortable according your criteria. You will find the position of these accommodations on the Baladou hotels map. 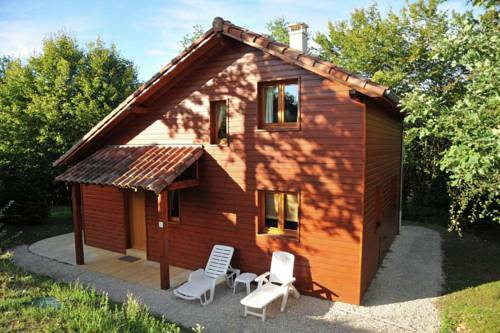 Offering mountain views, Studio à Deux is an accommodation set in Lachapelle-Auzac. The bed and breakfast features pool views and is 22 km from Sarlat-la-Canéda. Free WiFi is available in a shared area, near the property. Studio à Deux offers an outdoor pool. Barbecue facilities are available and guests can also relax in the garden. 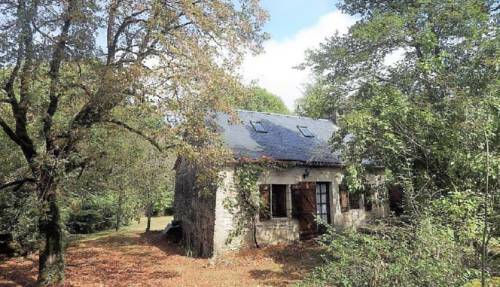 Brive-la-Gaillarde is 25 km from Studio à Deux, while Rocamadour is 18 km from the property. The nearest airport is Brive-La Roche Airport, 24 km from Studio à Deux. Gite Blagour at les pieds dans l'eau is set in Lachapelle-Auzac and offers a seasonal outdoor swimming pool and a garden. This property offers access to a terrace and free WiFi. The holiday home is composed of 2 bedrooms, a living room, a fully equipped kitchen, and 1 bathroom. A TV with cable channels is provided. Speaking German, English and French at the 24-hour front desk, staff are ready to help around the clock. The holiday home offers a children's playground. Sarlat-la-Canéda is 32 km from Gite Blagour at les pieds dans l'eau, while Brive-la-Gaillarde is 30 km away. The nearest airport is Brive Dordogne Valley Airport, 16 km from the accommodation. Featuring free WiFi and a terrace with mountain views, Roulottes/pipowagen 2/3 personen is a double, set in Lachapelle-Auzac. You can fire up the barbecue for a tasty meal and enjoy the garden in fair weather. Free private parking is available on site. Other facilities at Roulottes/pipowagen 2/3 personen include an outdoor pool. You can play table tennis at the property, and the area is popular for golfing. Sarlat-la-Canéda is 21 km from Roulottes/pipowagen 2/3 personen, while Brive-la-Gaillarde is 15 km from the property. A number of activities are offered in the area, such as horse riding and cycling. Brive Dordogne Valley Airport is 24 km away. Boasting accommodation with a terrace, Roulottes/pipowagen 2/6 personen is situated in Lachapelle-Auzac. Guests staying at this holiday home have access to free WiFi and a fully equipped kitchen. Offering direct access to a balcony, this holiday home comes with 2 separate bedrooms. The holiday home offers an outdoor pool. The property features a barbecue and a garden, which can be enjoyed by guests if the weather permits. Sarlat-la-Canéda is 32 km from Roulottes/pipowagen 2/6 personen. Brive Dordogne Valley Airport is 16 km from the property. Situated in Lachapelle-Auzac in the Midi-Pyrénées region, Les Pieds dans l'eau has a garden. Featuring free WiFi, the property also has a seasonal outdoor swimming pool, barbecue facilities and a terrace. This holiday home comes with a kitchen, a seating area, and a satellite flat-screen TV with DVD player. Sarlat-la-Canéda is 32 km from the holiday home, while Brive-la-Gaillarde is 31 km away. The nearest airport is Brive Dordogne Valley Airport, 16 km from Les Pieds dans l'eau. Below here is the hotels map of Baladou. Names and details of Baladou hotels can be shown on the map clicking on the prices icons.